There’s feeling behind this game. Twenty-two years since the infamous merger vote, Hawthorn and Melbourne meet in a final. 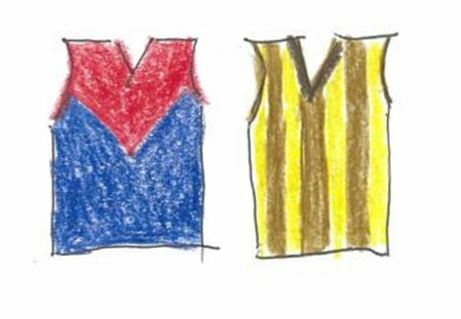 Melbourne fans have worn the jibes for two decades – all that guff about voting for a merger, which ignores the acknowledged vote-rigging by its architects. The Hawks have a habit of ruining Melbourne’s fairy tale moments. 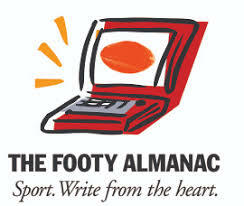 The 1987 Preliminary Final…the 1988 Grand Final…hell, they even won the ‘Merger Game’ in August 1996 by one point! We did win the 1990 Elimination Final, but it was only ever a faint consolation. That was the first final I attended. Dad and I sat high in the old Southern Stand, its roof removed in preparation for the stand’s demolition six weeks later. Tonight’s match is a very different experience in a very different ground. The MCC Members Reserve at night, a light breeze and no moisture creating one of those September evenings that make you realise this is the season’s business end. I’m with my mate Rodney for the second week in a row. He’s a Geelong fan, who tolerated my delight last Friday. We’ve seen some great finals together, beginning with the famous 2007 Preliminary Final – the last non-Grand Final ‘lockout’ in the Reserve. He’s considerate and considered in his support, switching his allegiance tonight to the Demons. We have reserved seats, but spend the first quarter standing in a bay at the back of centre-wing. I love standing room. The shifting heads, the noise reverberating under the concrete beams. The surrounds are dark, with only the field itself bathed in light. Conversations with fans of both teams, all fascinated by the tactics and physicality of the match. It feels communal and it feels like an event – as if everyone in Melbourne is actually waiting behind us, yearning to discover what we can see in front. At quarter-time scores are level and we head to our seats, four rows in front of those standing room steps. Rodney’s brother, Ted, has organised all this. He’s another footy stalwart, a Carlton fan who still relishes finals footy, regardless of the combatants. It’s now that Melbourne firms its grip on the game. We’re young, quick and tackle hard. James Harmes tags Tom Mitchell, nullifying the expected Brownlow Medallist, who was the first term’s clearance king. However, Clayton Oliver is in a bind, being stopped by Liam Shiels, who relishes the role. Wrestling fans will converge in a month’s time to see a sport that understands the importance of actors all playing different roles. The heel is one of wrestling’s biggest tropes and – in Shiels and James Sicily – Hawthorn have two of footy’s best pantomime villains. They add great drama to the contest. Melbourne’s finishing is precise, Hawthorn’s is wasteful. Alistair Clarkson’s men are well drilled and move the ball at a manageable tempo, but they fluff their opportunities. We’re in control. The third term is all Melbourne, with five goals to one in an 18-minute spell. The last goal – just on three-quarter time – is a beauty. Jack Viney is hard and determined, but this moment is about finesse. He pirouettes out of a pack on the half-forward flank, lobbing the ball above the head of Angus Brayshaw, who marks falling backwards. It’s a gutsy grab and the resultant kick makes the ground shake. This was the game’s signature moment, although there’s a last quarter comeback in which Hawthorn narrow the margin to 12 points. Jake Melksham’s goal stems that fightback and grants him the win (narrowly) over his marker, Sicily. It wasn’t the main event, but this heel and hero battle was a nice undercard. At the siren, Rodney tells me he’s never heard the MCC sound louder. The last two Friday nights have been that perfect point for Melbourne fans – little expectation, loads of novelty and a side that plays exciting footy. It will never be the same again, because whatever happens in the future will be met with different demands. This is my generation’s 1987 – only hopefully with a happier climax. If it arrives, I’m determined it will be spent with my ailing dad and my young son. They’re the hidden faces in this story and can’t be here tonight, but they’re critical to my current footy chapter – the most beautiful and emotional I’ve known in 30 years following the Melbourne Football Club. This piece was originally posted at Balcony Banter. Chris, that’s a piece with a lovely depth of feeling to it. That feels like a weighty piece of writing, Chris. I love standing room, too. For all the reasons you describe. One great moment I recall from standing room was A Cook bringing up his ton, just before stumps, in last year’s MCG Test. Silhouettes shifting in the near. Combatants bathed in light in the far. It’s a grand place to be. Cook was my kind of opener – and that innings and his last Test dig v India were my kind of innings. When we played West Indies in 2015, I spent a session running around an empty standing bay with my then one year-old son. He used the bars like a jungle gym while 7,000 watched the game reach its conclusion. It’s a grand old place even on a quiet day. You get to make your own magic.